The National Federation of Small Businesses published the results of a study stating that by 2018, more than a half of small businesses will be run by female entrepreneurs. But if every woman with ambition, passion and good ideas would have the courage to start their own business, how high could this number go? Ever since The CEO Library was started, we interviewed a lot of women who are so driven by passion, they took that leap of faith and decided to take business matters into their own hands. From Catrinel Hagivreta (Co-Founder & CEO of MEDIjobs) to Ella Zheng (Co-founder & Art Director at The Workbench), from Irina Botnari (Co-Founder of Bucur’s Shelter Hostel) to Andrea Loubier (CEO and co-founder of Mailbird), we’ve come across some inspiring women who are doctors, photographers, authors, coders, business consultants, designers, trainers and much more. One can’t help but wonder: is there anything women can’t do if they put their mind to it? As we published interview after interview, we saw how passionately our curators talked about the books that inspired them and an idea came to mind: what if we gathered the reads that inspired these women entrepreneurs into one place? If you are here, you must be a book lover. And since we have made it our mission to put the right books into your hands, we wanted to answer this question: what do these successful women read? Do I want to read books that inspired successful women entrepreneurs? Am I curious to see what key learnings other business owners get from their reads? Do I want to start my own business, but there’s something holding me down and I’m not sure what it is? If you answered “yes” to any of these questions, you’re in the right place. Each book in this collection comes with its own recommendation because it’s important to understand why that title was important to its curator, to determine if it might be important to you, as well. The following collection gathers non-fiction books that discuss entrepreneurship, self-help issues, biographies of inspiring women, and fiction books, which have been highly recommended by the women entrepreneurs we had the pleasure of talking to. As always, your book recommendations are welcome at any time (and we’re just one email away), so get in touch with us. 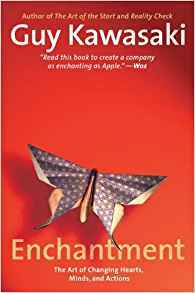 Lisa Terziman-Gutu: The book which influenced me the most was probably “Lean In: Women, Work, and the Will to Lead Book”” by Nell Scovell and Sheryl Sandberg. Why this book in particular? I had the same feeling that I can’t assume any responsibility or dare for something, until I’m 300% sure that I’m amazingly good at such time of job. This book helped me to try new things, which I never did before, like start my own startup, even though I didn’t have enough experience in the field. I failed many times, but I never gave up and did my best in order to succeed. Another thing I’m grateful for is breaking the stereotypes I had back home – that you should either choose between your work or a family. You can’t do both at the same time. This is exactly what Sheryl did and had, which means that it’s possible to have it both, no matter what others are saying. 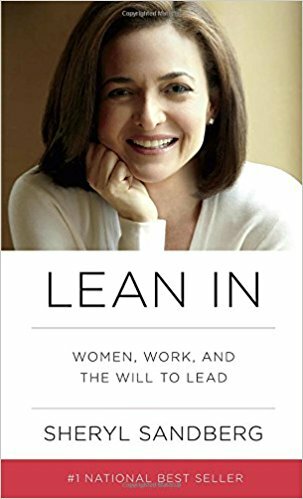 Meenakshi Sharma: I enjoyed reading ‘Lean-In’ by Sheryl Sandberg, as I could totally relate to it, at the phase I was in, a few years ago, with 2 very young children. I have passed on that book to so many women who struggle to find the balance. It’s a well-written book, narrating the author’s own experience balancing marriage, kids and a demanding job. Read it if: You want to follow the journey and the advice of one of the strongest female figures of the decade: Sheryl Sandberg, COO of Facebook. Andrea Loubier: The 10% Entrepreneur and Girlboss. Both empower people to create a strategic plan and risk-taking that are needed for considering entrepreneurship. A lot of it is experimenting, learning and just doing. Read it if: You’re trying to figure out what your path to success is, if you’re an insider or an outsider and how counterintuitive the path to entrepreneurship is. Stacey Minton: I would say for sure, She Means Business. I found it very empowering and encouraging and it had a ton of fantastic ideas. Read it if: You have an idea you want to bring to life, but you’re not sure which are the steps to follow and how your vision can take shape. 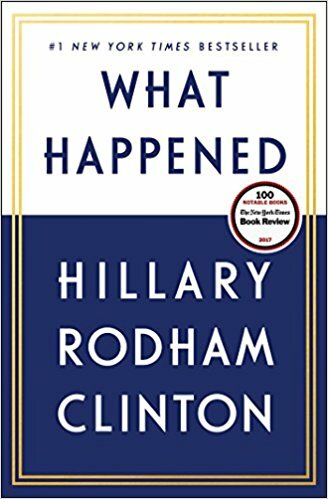 Brianne Miller: I also have Hillary Clinton’s book ‘What Happened’ on the go right now and love it … although not specifically business related, it centres around female leadership and the challenges that we face. Really eye opening & inspiring! Read it if: You want to read a great example of how a powerful woman overcame controversy during the elections, to see how she felt, what she thought and how she overcame her defeat. Jessica Lauria: I bought this book because I was curious about the title. I loved it and bought it for my entire team. The universe matches the energy you put out. It’s so true. If you put out positivity, you get it back. It’s a great reminder that you are in charge of your destiny. Another point in this book that I love – if someone has a problem with you, it’s their issue. Not yours. We put some much weight on what people think about us, when it really shouldn’t matter. Stacey Minton: That book helped me realize I wasn’t alone in not necessarily having direction or all of the answers, but as long as I put one foot in front of the other, I would get to where I wanted to be. Read it if: You ever felt like you’re not awesome enough to succeed in entrepreneurship and need a pep-talk to show you how to put your qualities to good use. Read it if: You’ve started your own business, but you’re having a hard time figuring out how to overcome obstacles, how to recognize new opportunities and shift your mindset. 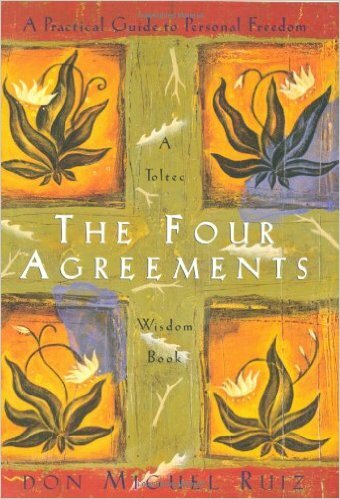 Darrah Brustein: The Four Agreements is a practical, to-the-point, but ever-challenging read. It breaks down the four basic agreements one should make with him/herself to live your best life. Each is simple in essence, but absolutely a life-long endeavor to master. It’s one of the few books I regularly re-read as each time, I take away a great reminder of an area in which I can grow. Read it if: You often find yourself thinking with pessimistic filters and you’re looking for a self-help book that will show you how to approach life through the optimistic lens. 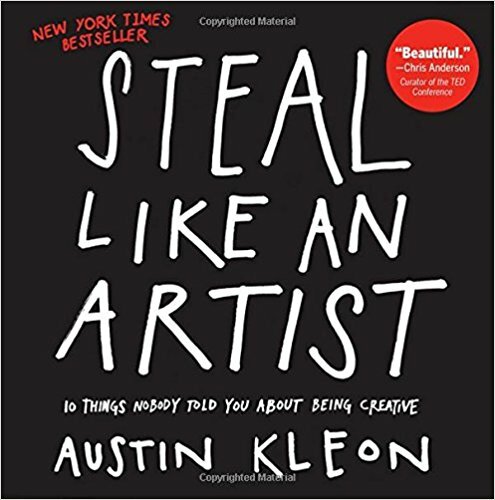 Armina Sirbu: Austin Kleon’s “Steal like an Artist”. I read it when I was going through an “impostor syndrome” timeframe and it helped me get out of that mood. It “told” me that is ok, I don’t have to be a genius, I just have to be myself and it will be enough. Kaci Lambe Kai: I loved this book largely because it gave me permission to mix my influences into my own work. To steal without regret to create something new. I have a voice and it’s valuable. Read it if: You know you have an artistic, creative side, but you’re not letting it surface and grow to its full potential. Magda Marcu: I used to listen to the audio book “Talking from 5 to 9: Women and Men at Work” while driving to work in the morning. 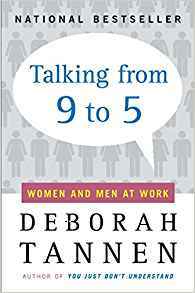 The book is about the differences between how women and men communicate at work, such as the words they use, tone of voice, structure of phrase and the impact it has in the way we are perceived differently in a work environment. Some of these differences are quite obvious, others are more subtle. I’ve applied learnings from this book in all my meetings, by adapting my vocabulary, using a more decisive tone, and making sure every woman’s voice and opinion were equally heard as any man’s. Read it if: You’re aware of the fact that conversation between men and women sometimes hit a barrier and you know that breaking this barrier is key to successful business relationships. Julia Enthoven: I also think every young person should read Mindset by Carol Dweck. Adopting a growth mindset – an attitude that you can develop any skill if you practice enough and choose the right strategies – has helped me embrace challenges and build confidence, an important foundation of success. Julie Zhuo: So much of being happy and productive is not about what’s happening externally, but what’s going on in our own heads. I loved this book for so clearly illustrating that. 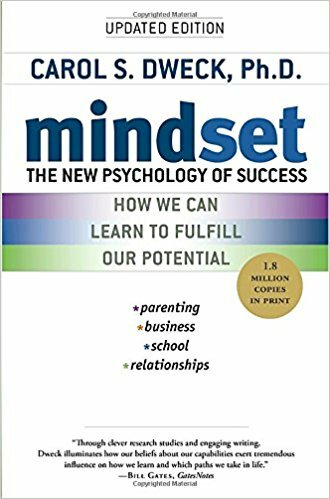 Read it if: You understand the power of psychology in improving your mindset, but you’re not sure how this whole “growth mindset” can be specifically applied in your life. Leah Lizarondo: I read a lot of nonfiction and business books – but this is the one I keep on going back to. Enchantment is a mindset–and if you approach your work, each interaction, with this in mind, it will change everything. My copy of this book has dog-ears everywhere. If I could keep it in my bag everyday, I would. Read it if: You want to boost your business and learn what it takes to create a successful campaign that enchants everyone, from your customers to your employees. 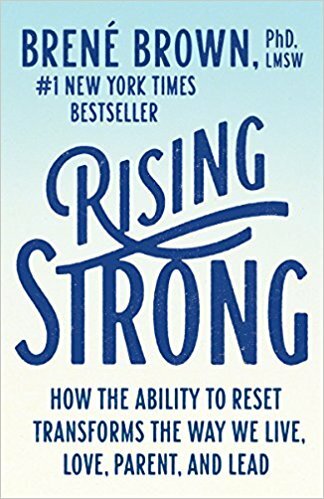 AnneMarie Schindler: I just started Rising Strong by Brene Brown. I’m turning 35 this year, and emotional intelligence isn’t something that comes naturally to me. Brown’s previous books have always pushed me into a space that’s uncomfortable and rewarding. As a wife, parent, and entrepreneur, I’m expecting the book to help uncover some blind spots in each of those roles. Shaen Yeo: Non-business – Rising Strong, because it is so real, vulnerable AND full of wise nuggets which inspire me to be resilient in my life. Read it if: You want to learn more about the power of conversation, about courage and vulnerability, about nurturing creativity and being the best version of yourself. Irina Nica: It’s hard to pick an all-time favorite because, as time goes by and I grow older, my reading list becomes more “mature” and I find myself interested in new things. I probably have a personal favorite book for each stage of my life. 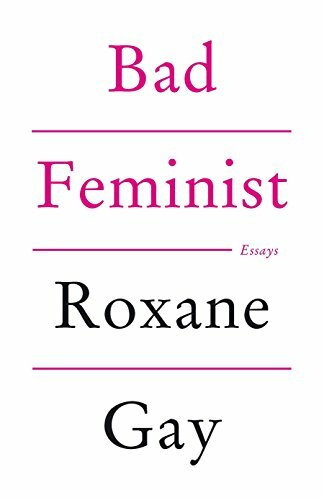 Right now I’m absolutely blown away by everything Roxane Gay wrote, especially Bad Feminist. 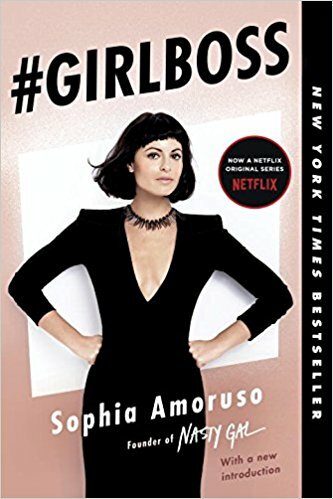 Read it if: You want a funny, but very insightful read on the past culture of what it means to be a feminist and current examples of feminism in today’s society. Sonia Micu: There hasn’t been one single book that changed my career, nor my life in general. 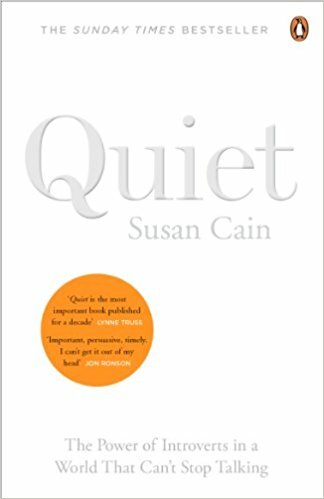 But, if I were to name a book that made me question things in my professional life, it would have to be Quiet by Susan Cain. 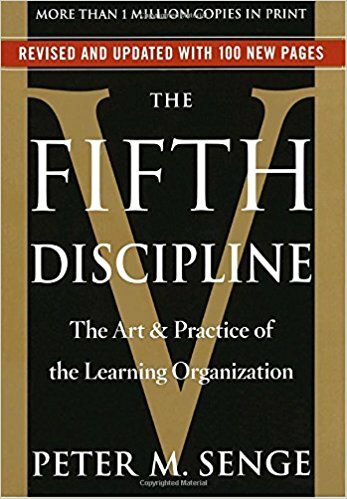 It is in this book that I first read a criticism to a practice that has been used and abused throughout my corporate life: teamwork. It was refreshing to read about the power of working alone and to be reminded that most of the ideas that shaped our world did not come out of a brainstorming session. Read it if: You’re an introvert, but deep inside, you know you have the power to make a great contribution to today’s society. Melody Hossaini: This is the first and only memoir I have ever read. Written by the former Empress of Iran. Being Persian myself, I am always interested in the history of our country, but was particularly moved by Empress Farah’s story as a woman who lived through the best and worst times during the regime change in Iran. The book is real, honest and fascinating and has created a lasting impression on me. 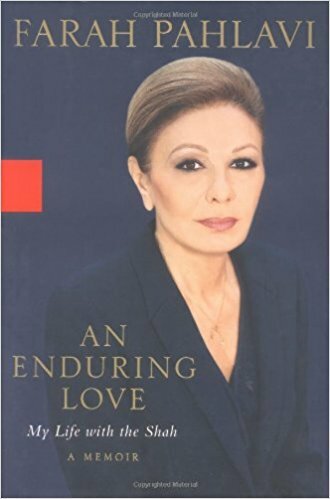 Read it if: You want to read an inspiring biography, a story of power, luxury, exile and loss, written by empress Farah Pahlavi, the Shah’s former wife. Anita Campbell: Natalie MacNeil inspires you to forge your own path as a woman entrepreneur. This book is about living the life you know you were meant to live. 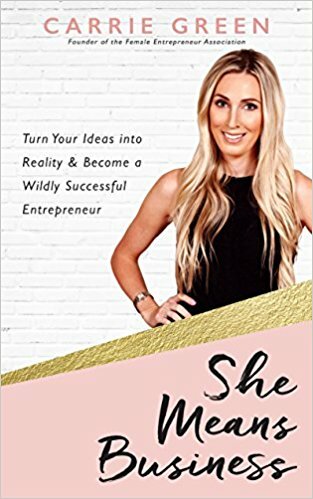 Read it if: You’re on the market for a humorous and warm book on what is means to be a great women entrepreneur in this decade. Sheryl Sandberg: I absolutely loved Tina Fey’s “Bossypants” and didn’t want it to end. It’s hilarious as well as important. Not only was I laughing on every page, but I was nodding along, highlighting and dog-earing like crazy. […] It is so, so good. 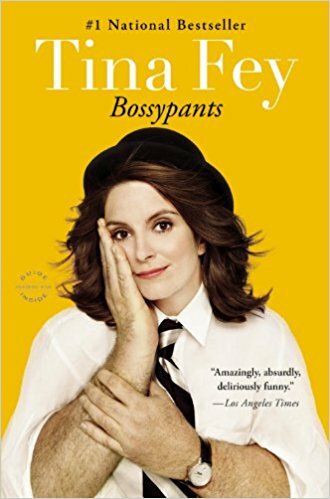 As a young girl, I was labeled bossy, too, so as a former – O.K., current – bossypants, I am grateful to Tina for being outspoken, unapologetic and hysterically funny. Read it if: You already know who the Tina Fey is and want to follow her journey filled with heart-warming stories of eating things off the floor or pursuing physical beauty. Alison Alvarez: What I really took with me from the book were the descriptions of how she dealt with the stress of solitary confinement and eventually the Ravensbruck concentration camp. I adapted some of her techniques for keeping her mind occupied to deal with my own problems with anxiety and worry. Also, it’s a book with a surprising amount of joy in it for subject matter that is so dark. 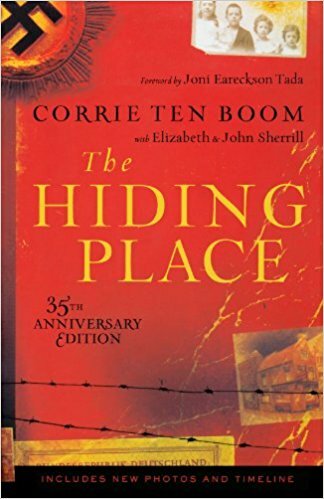 Read it if: Your anxiety and stress sometimes get in the way of doing things and you’re searching for an inspiring story: that of Corrie Ten Boom – a woman who risked her life to help Jews and underground workers escape from the Nazis. Catherine Molloy: I am an experiential learner I need to see it, feel it, etc. so the book must move me to do something, feel something. With A New Earth I even read snippets to my students as I have experienced a lot of these concepts and write and train in similar concepts. 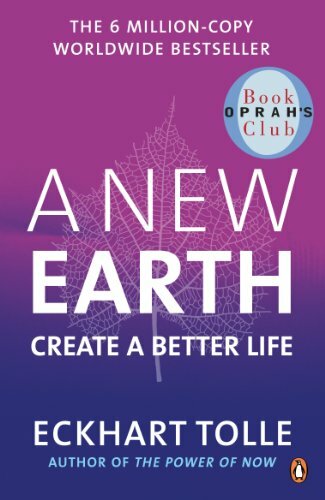 Patricia Reed: “The Power of Now”, by Eckhart Tolle, as well as “A New Earth”. Understanding the ego, and being able to separate it from self, is a powerful thing. It has changed my outlook on people and situations, and made me able to see my inner critic for what it is, and choose how I want to engage or respond to situations. 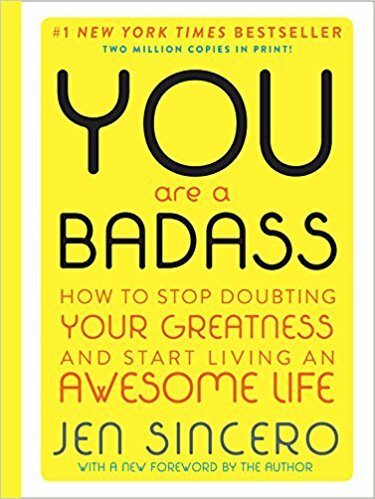 Read it if: You need a fiction book which is filled with self-help nuggets that can teach you how you can do your part to make the world a better place. 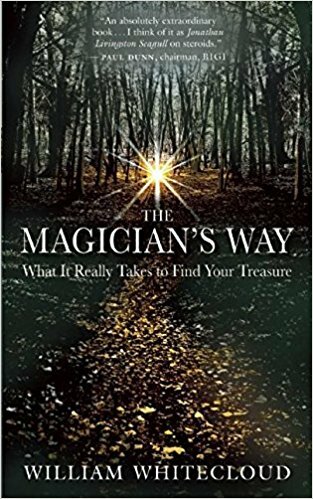 Sabien Windels: The Magician’s Way is about creating magic in your life. Changing underlying structures in your life in order to walk the path that you choose. It’s fiction, but really charming and hope-giving. The book is written by the coach of my coach and this philosophy has helped me a lot in creating magic in my life, business-wise and in my private life. It also helps me to focus and to stay true to what I really love (and thus good at). Read it if: You feel like you’ve lost your “why” and need to bring some magic back into your life. If you liked this article, don’t forget to Pin and share!